Fed up with your avatar having to live inside a wall-garden world? Want to bring it out into the wider web to play? Well it seems a revolution is at hand, early days and a few notable services listed below, but keep your eyes peeled as virtual characters start to infiltrate our flat 2D web and turn web pages into a game, a veritable MMO. There are naturally several new and emergent marketing possibilities. 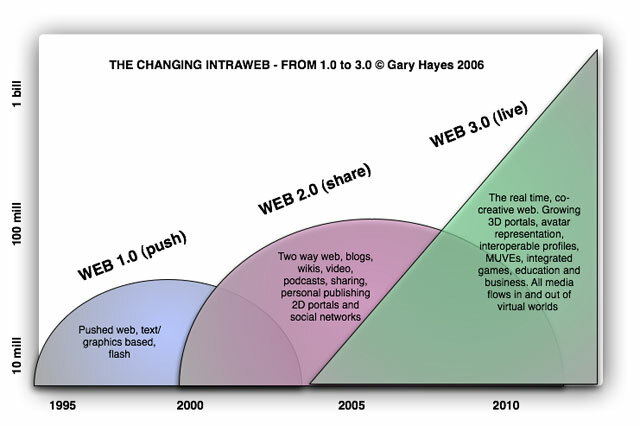 With the recent addition of Google Lively and a host of other character based browser enhancements what follows is a summary of applications or services that sit neatly between your traditional web 2.0 2D website (flickr, youtube, blogs etc) and a fully rendered ‘walk-around’ world. These are apps that mash game-like avatars with web pages, allow you to move inside pages or play with friends over the top of them. There have been many trials and false starts of these over the past decade but given the ‘game generations’ that are so used to being a toon/avatar/game character it seems a natural step to turn some, not all, web pages into something a little more ‘representational’ of our real social environments – for example why not gather around that cool YouTube video that has just come out, no not embed on a screen in second life, we all go to the YouTube page and hang out! 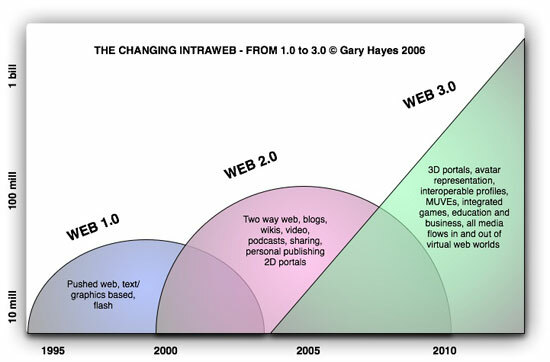 Firstly though a reminder of where web 2.5 probably sits based on my oft cited diagram from a couple of years ago…we are looking at that point 2008 where the two way web merges with the live Web 3.0. 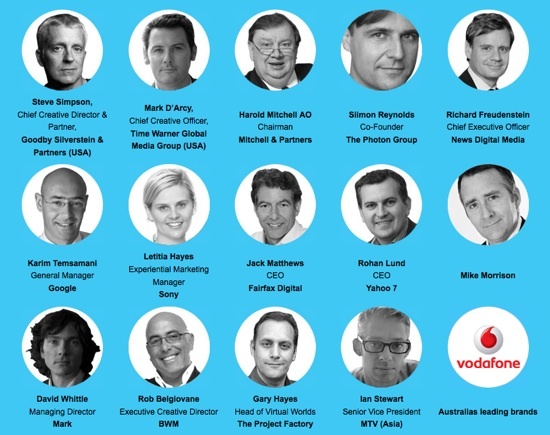 There have been quite a few early ‘avatars’ on a page services and games in the past and many successful ones using basic pandora/ALICE type AI technology to create talking heads that welcomed you or read the page or even recommended things for you to go and consumer. Then I recall way back when AI type pets Catz/Dogz for example, that ran amok across your computer desktop. Then there are the newer generation browser’creatures’ neopets/webkinz and others that allow an element of tracking outside the worlds. But this list below is about casual, social virtual environments layered or embedded into traditional social media websites with the specific purpose of stimulating ‘chat’, sharing and other emergent and natural behaviour alongside traditional web media. This is currently in closed Alpha and it sounds like they are still raising funds from investors as their website is pretty thin but they have a lovely promo video below. 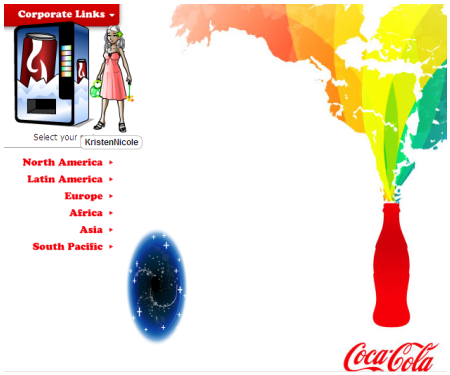 This great article by Kirsten Nicole of Mashable (credit: linked image with Coke above) takes us on a step-by-step walk-through and leads to the most exciting but rather no-brainer element – as you surf around some ‘partner’ sites will have applications where your wandering avatar can interact with the page. So prizes for coming back, small games to play with others on the page and so on – marketers time to play! Another aspect that may make RocketOn more sucessful than Weblin is of course the fact that the avatars can roam around pages and build on them – well that’s the way it seems from the promo, in reality we shall see. Unlike the two above ExitReality takes a slightly different approach to making flat boring 2D web pages more avatar friendly. They turn them into 3D worlds! Yes your heard correctly. The image below is me walking around a flickr page which almost instantaneously was converted into a 3D walk around gallery. Still very buggy on my souped up main PC with many sites not rendering at all, this has some real potential once they fine tune that dimensional converting widget. Keep an eye on these. There is also a nod to PS3 Home given the strong create your own room using bits of found furniture (in fact very Habbo also), embed it in your blog etc and what looks like a catalog where 3rd parties can eventually come along and sell pixel products, virtual goods – which is where the real biz model is of course. 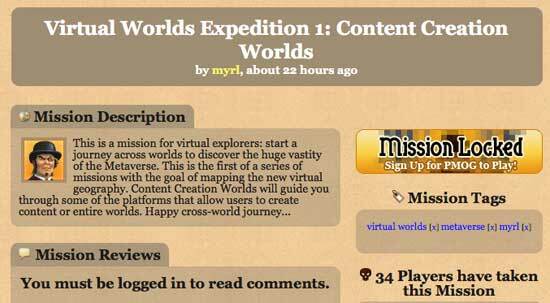 A new immersive web platform called Vivaty Scenes lets users create tiny virtual worlds and decorate them with content from around the internet. After adding Vivaty Scenes, which entered public beta Tuesday, to a Facebook or AOL Instant Messenger account, users can set up a customizable “room” where they can host chat sessions or small virtual gatherings within a web browser. The free service lets users pull content directly from some of the internet’s most popular sites. Scenes’ virtual televisions can be populated with any video from YouTube; virtual picture frames can be filled with any picture from a user’s Photobucket, Flickr or Facebook accounts. (Disclaimer: I do some work with these folk.) This is really a development of the old ‘talking head bots’ of the 90s and early 00s but with a twist. MyCyberTwin is you, well as close an approximation to your personality, wrapped in an AI text based engine which you train based on conversations people are having with you on yours or other’s web pages. 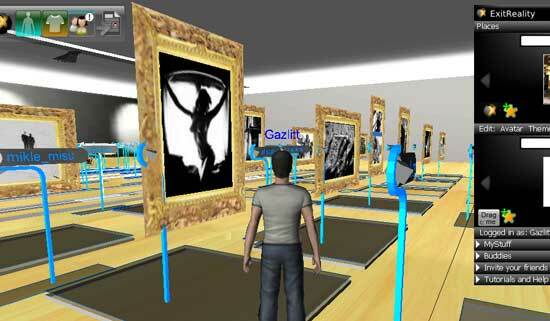 MyCyberTwin is a website that allows you to quickly create compelling virtual personalities called CyberTwins. These virtual beings live and breathe on the web and chat to your friends, family, colleagues or customers on your behalf. OK how is that a LSVW (Layered Social Virtual World) I hear you ask? Well as they say “MyCyberTwin is a website that allows you to create virtual personalities that can chat for you online.” So this backend persona can be plugged into any client – we have done it with Second Life but their real model is having MyCyberTwins have ‘social’ conversations on blogs or marketing sites and so on. It is really you being able to chat non-real time, asynchronously to friends or interested parties 24/7- it is you digital proxy. At both ends of the rather off-line talking at you continuum we have a free to use AI backend that allows you to run customised chat mash-ups over your web site in Pandora (1) and then the most commercial example of the same thing in SitePal (2). There are many in-between. 2 SitePal provides a number of powerful, yet easy-to-use features for designing, scripting and publishing your animated speaking characters. 1 Pandorabots is the place where you can create and unleash virtual personalities. Pandorabots is an experimental software robot hosting service based on the work of Dr. Richard Wallace and the A.L.I.C.E./AIML free software community. From any browser, you may create, design and publish your own software robots Ã¢Â€Â“ and make them available to anyone via the Internet. Sign-up for an Account to begin creating your own virtual robots. Otherwise known as Passively Multiplayer Online Gaming with a catch phrase ‘play the web’ and more about playing as groups across web pages rather than ‘real’ avatars layered on or in your web browser. 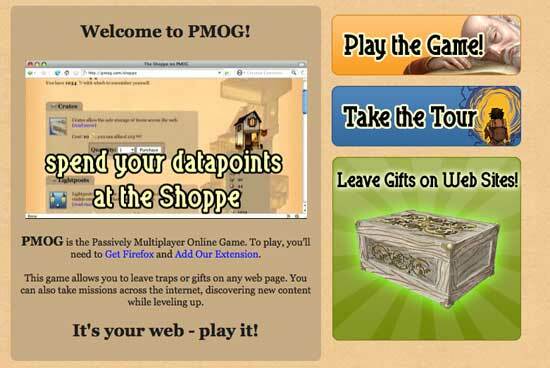 PMOG’ers are given or create quests, missions (hundreds of them!) and most importantly set traps or goodies for each other and can literally bury treasure or mines or other clues on specific URLs that other players are likely to ‘stumble’ across – all managed from a “World of Warcraft’ type plug-in, bottom bar for Firefox. They earn points travelling around that can be spent at a ‘Shoppe’ – which I have yet to find myself! OK a quick round-up of a few new services currently enabling a new way to browse the web. 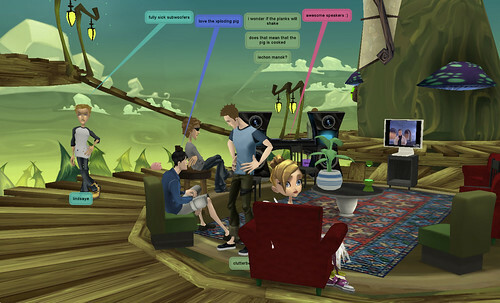 There are many important implications that come out of this collision mainly around the investment of time people usually put into their avatars in self-contained world could be stimulated in some of the examples above – loyalty for browsing and tracking as your avatar automatically gains extra powers (game speak for reward for completing goals) as it visits ‘enhanced’ sites. There is also the possibility of interoperability with your other 10-40 avatars in other worlds that could receive some of the characteristics of the ‘web’ wanderer. The list goes on and I have to get back to good ole traditional web browsing. If you know of other examples of the above please meet me on this page regularly at 10pm AEST 🙂 Or just comment!